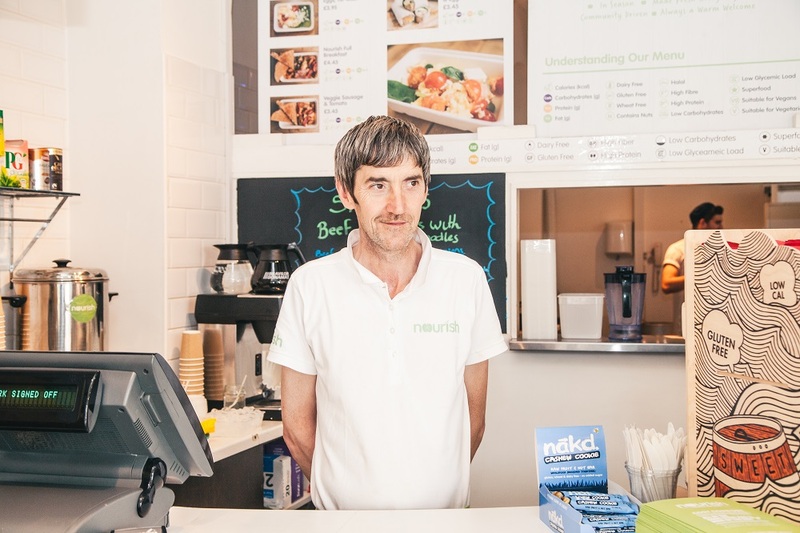 Regular customers of Nourish in Sheffield, England might do a double take when served by staff member Gary Williams. Until a month ago they were more likely to see him right outside the ‘healthy fast-food restaurant’ on his regular pitch, selling Big Issue North. Williams, a vendor since 2012, moved on from selling the magazine outside the restaurant to serving customers inside in September 2015, when owners Ben and Richard Pryor, and Dave Stache offered him a full-time job. Homeless and without an income, he started selling Big Issue North to feed himself. He worked in Leeds city centre and then moved to the Sheffield pitch outside Nourish, where he soon made an impression on the owners. Nourish opened its doors on Sheffield’s Pinstone Street in 2013, just before Williams started selling there. Marketing itself as a fast-food restaurant with a difference, it serves nutritional meals using ingredients from local producers. Its ethical stance may be backed up by the owners’ support for Williams, but Stache is keen to point out that the job offer was a business decision. Williams is one of a number of people who have successfully moved on from selling a street paper. The musician Jim Jones recently wrote a blog post on the Big Issue North website about how selling The Big Issue UK had helped him through some difficult times. The transition from selling the magazine to more mainstream employment isn’t always easy and isn’t something that works for every vendor. Some vendors see selling the magazine as the only job they ever want to do, while others see it as a stepping stone to something else. 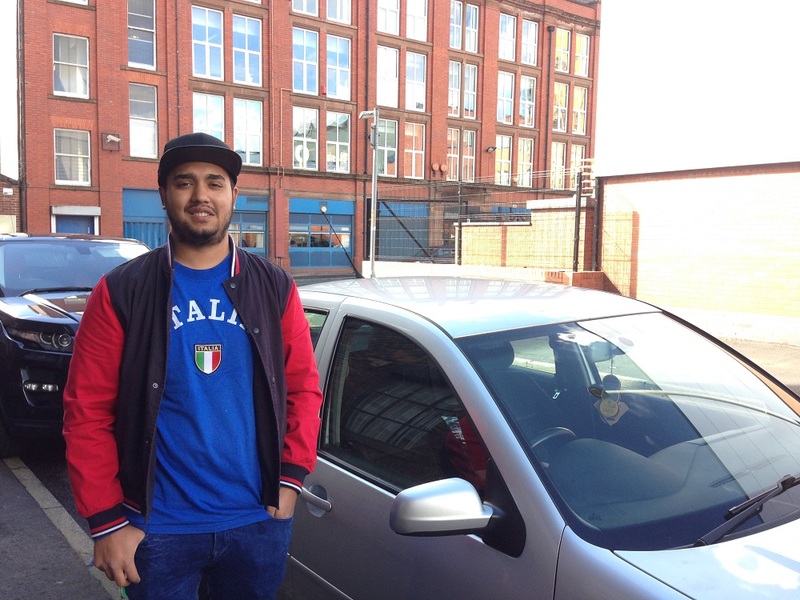 Another former Big Issue North vendor, Nicolaus Tanase, 23, now works in a biscuit factory in Manchester. Tanase arrived in the UK in 2007 when he, together with his family, relocated from the Romanian city of Constanta. In 2010 he started selling Big Issue North to make an income and contribute to the household. When Tanase first arrived in the UK, selling Big Issue North was one of the few ways Romanians were able to earn income, due to the working restrictions placed on them by the government of the time. In 2014, these restrictions came to an end, and Tanase was able to seek alternative employment. Tanase, who now lives with his partner of four years and their two daughters, is happy to work at the biscuit factory but he’s hoping to find more permanent work in the future.